The order of four seasons could not have been more perfectly engineered. The change of seasons is a drama written so masterfully. It is a story of a prophecy, and the sound of the ‘trumpet of a prophecy(Ode to the West Wind, Shelley)’. 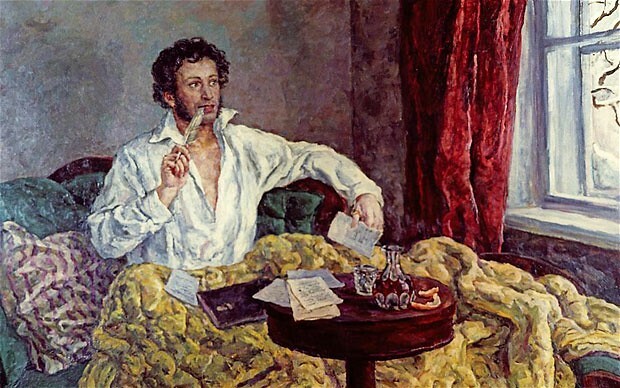 Pushkin had advised: should this life sometimes deceived you, don’t be sad or mad at it! The irony is that the very poet died by a gun wound inflicted by a man with whom, Pushskin believed, his wife had relationships with. Pushkin was drove to the madness and anger by the deceit his wife had brought. “What do they know?” You might say. I know the contradictions many artists and writers embody in their words and deeds. I write about hope and faith but underneath it all, I battle and struggle through my fear and anxiety. My bipolar depression tendency amplifies my dark human experiences. Perhaps the real reason we write or paint is to exorcise. It is our act of contrition. It is our path to atonement. Deep down, it is our prayer. What we long to create is our ideal, our hope, our future. We draw with words or paints what we wish to grasp here in the present but always so far away. This act of art is our inner walk, a secret diary that is never revealed in its fullness. But just as the invisible wind blows foretelling the change of season and leave its mark on our skin, we hear the whispers of the brighter tomorrow that leave their impressions on our minds and hearts. We endure the brutality of winter because we can sense spring breeze just over the horizon. As long as we don’t linger hanging by the sick moment, there is always hope. There is only movement. And we are always moving forward in this movement of life. On a gloomy day, have faith, and trust. Brighter days will come, and not just days, but eternity. Always look towards the heaven with the eyes of your hearts. What if today is full of sorrow and pain? Full of loneliness and betrayals? All is fleeting, all will go, and once they are gone, then we will know them for what they really were. Spring is here and summer is well on its way. This is beautiful, lilyboat. Thank you. Thank. You. for reading. Have a blessed day terry! This is a very beautifully written post. Thank you for sharing your experience and thoughts. I love this poem.